Our Teens class develops young peoples’ acting and performance skills through fun drama workshops. Run by professional actors, writers and directors, our classes are a great way to make new friends, explore great writing and develop your own creative voice. Drama Teens is a stimulating, creative class covering all aspects of drama: voice, physicality, text and improvisation. The sessions are run by professional actors, passionate about passing on the tools of our trade. 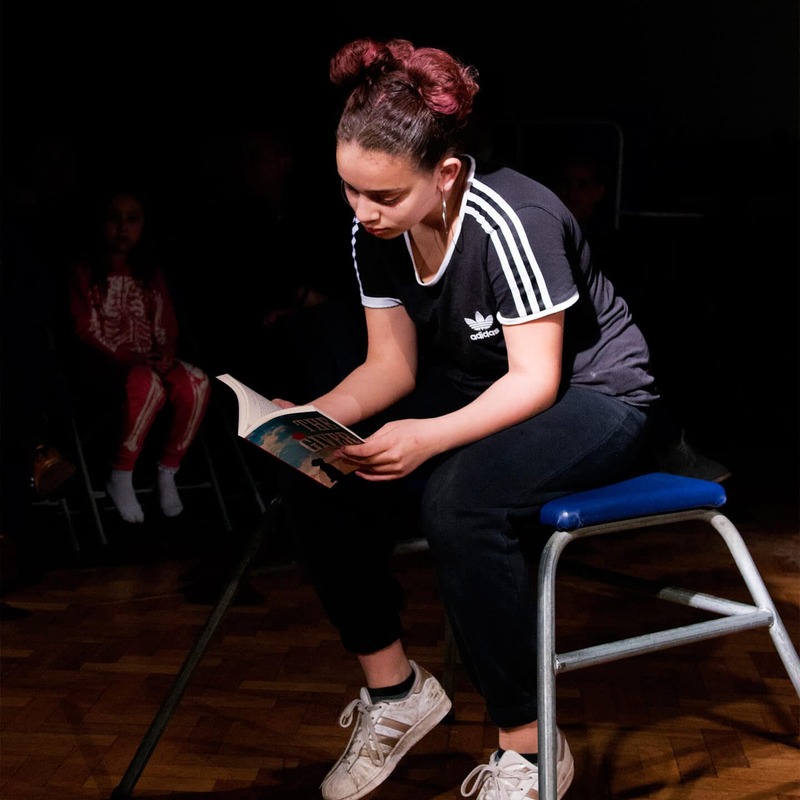 Our Teens group works with the LAMDA Examination syllabus, offering opportunities to take examinations in Acting, Verse and Prose, Devising, Reading for Performance and Public Speaking. Learning in a group is a fun and affordable way of approaching LAMDA exams. The exams are a great introduction to performance skills, demonstrate determination on a learner’s Record of Achievement and count towards UCAS points. We have a 100% pass rate and a very high level of learners earn ‘Distinction’ – testament to the quality of our brilliant teachers. For more information email us, or get in touch Steve on 07973 612443.